Last year, The Future of Protestantism brought together three theologians for a lively discussion about the state of Protestantism. Now, four members of different traditions will gather to move that conversation forward. What is the future of the church? What changes might we need to make for greater unity to happen and what healthy distinctions need to be maintained? Join us for this important dialogue. 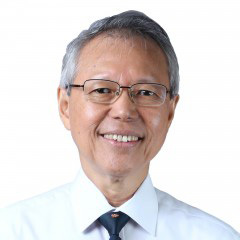 Dr. Simon Chan is Earnest Lau Professor of Systematic Theology at Trinity Theological College, Singapore and author of Liturgical Theology. Chan will also be speaking at Biola chapels on Wednesday 9/9, Thursday 9/10 and Friday 9/11. Dr. Ephraim Radner is Professor of Historical Theology at the Toronto School of Theology and author of A Brutal Unity. Fr. 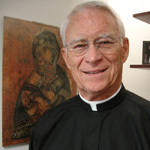 Thomas Rausch is T. Marie Chilton Professor of Catholic Theology at Loyola Marymount University and author of Eschatology, Liturgy, and Christology: Toward Recovering an Eschatological Imagination. Dr. Fred Sanders is Professor at Biola University's Torrey Honors Institute. His most recent book is Wesley on the Christian Life. 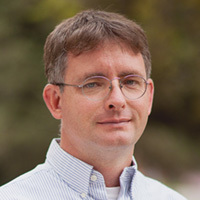 Dr. Matt Jenson is Associate Professor at Biola University's Torrey Honors Institute and is a systematic theologian specializing in the doctrines of sin and ecclesiology. He is the author of The Gravity of Sin: Augustine, Luther, and Barth on 'homo incurvatus in se' and, with David Wilhite, The Church: A Guide for the Perplexed. Can't make it to Biola? A live webcast will be available from this page. Have feedback on the live stream? Want to see more events like this? Let us know at ucm.video@biola.edu. Join the conversation using #ChurchFuture on Twitter & Instagram.